Hi there all my crafty friends. Are you all enjoying Sale-A-Bration? Isn't it fabulous? If your not familiar with it, never fear i will give a brief description of it later on in the post. 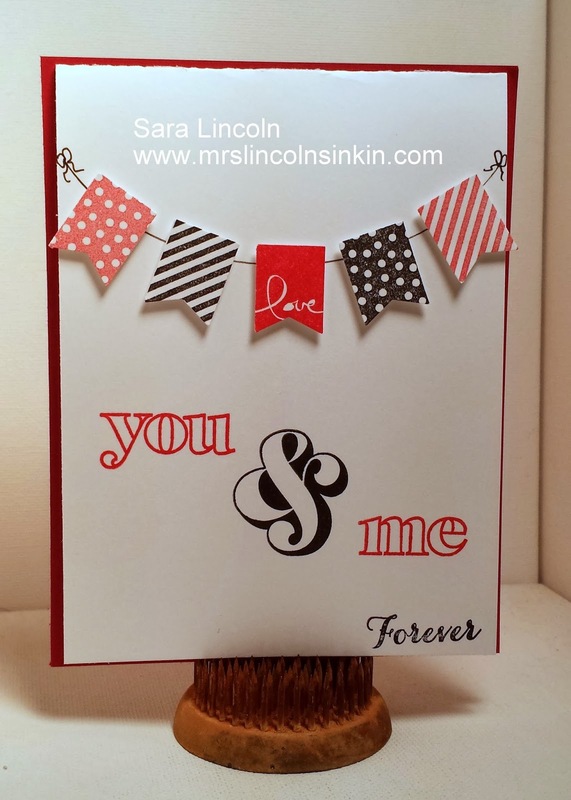 For now i want to focus on today's share, a cute Valentines Day card using the Banner Blast stamp set and coordinating Banner punch. Both items that you can get right now Free during SAB. 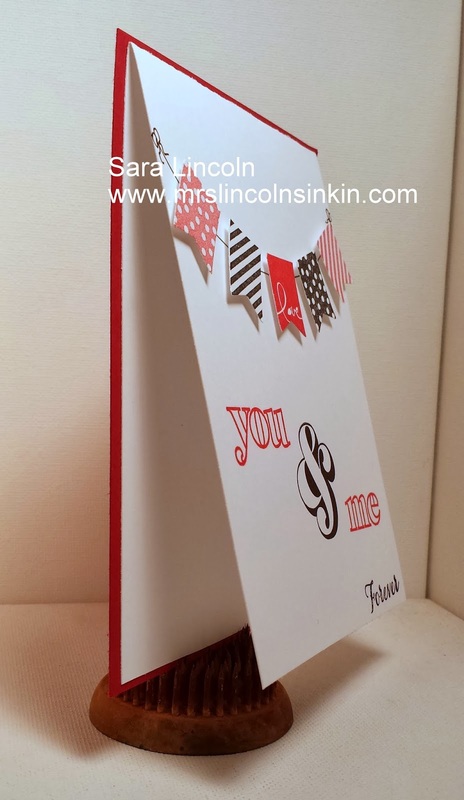 This card measures average size of 4 1/4" x 5 1/2" however the "actual" card part measures 1/4" smaller on all sides. 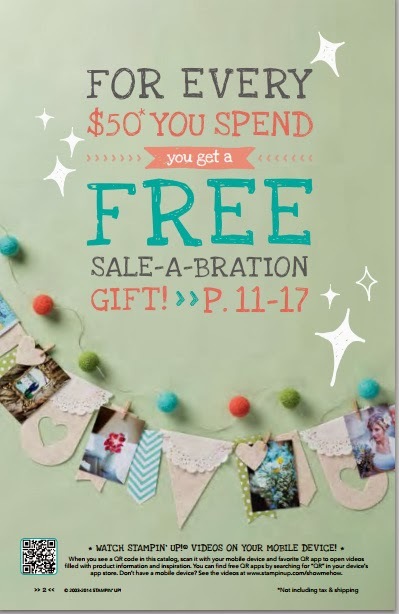 Sale-A-Bration is an amazing opportunity to get free product. Just like the sign says above, for every $50 you spend (before s/h and tax) you can get any product from the SAB brochure for FREE!!!! There are 13 amazing items to choose from. 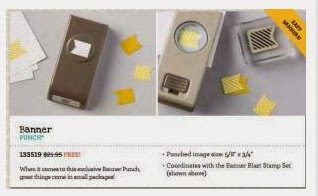 Click on the picture above to see the complete SAB brochure.